Inviting accommodations and thoughtful amenities await at our Wyndham Providence Airport hotel. With comfortable guest rooms, modern conveniences, and a great location in Warwick, you’ll have everything you need for a memorable stay in Rhode Island. If you’re flying in or out of the area, you’ll love our free airport shuttle to T.F. Green Airport (PVD), located less than two miles away. We’re also near the area’s top attractions, beaches, and universities. 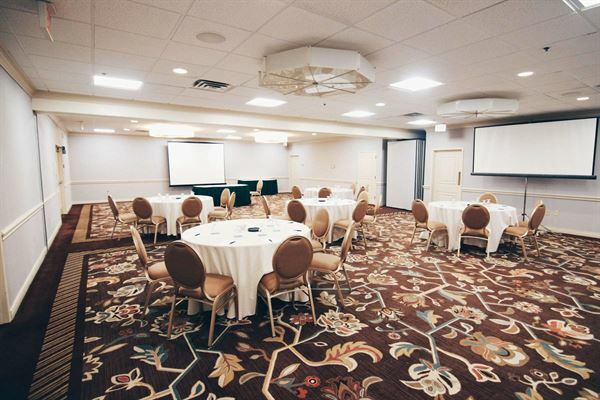 With 9,000 square feet of versatile event space, our hotel can accommodate gatherings of all kinds. Take advantage of our eight modern meeting rooms—including a ballroom—for your next team breakout session, business conference, wedding, or celebration. We’re well equipped with state-of-the-art technology and expert planners who will help execute all the details—from décor and catering to presentations and more. All pricing is subject to 20% service charge, 7% RI State Sales Tax and 1 % Food & Beverage Tax Please contact us for complete terms and conditions. See our attached menu for our 12 different themed lunch buffets! Ranching from Deli Wraps,Calzone Buffet, Mexican Buffet, Boxed Lunches and more! Special Features: Delivers a consistent, higher level of service and ensures the same pre- and post-meeting procedures. the service was great, staff and food was amazing. Special Features: Free Airport Pick-Up and Drop-Off, Complimentary 24-Hour Fitness Facility.